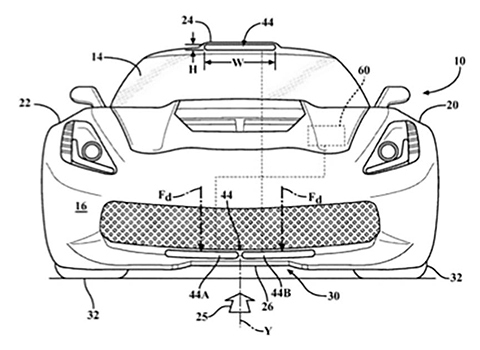 New patent filings show the Chevy Corvette could soon receive several different types of active aerodynamics. This isn't the first time patent filings hinted at such technology coming to Corvette. Last year, filings showed GM patenting active aerodynamics linked to the car's ride height. The new filings, discovered by CorvetteBlogger.com, show much more of what could be in store for the current Corvette and beyond. Read the full story and see the technical drawings.